Government of India has decided to send vans to reach out to people in interior districts of the country to spread the Digital India programme. 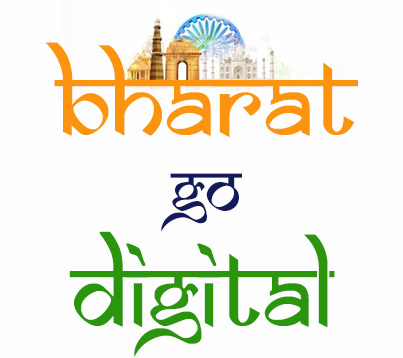 To start with, Minister of Communications and Information Technology Ravi Shankar Prasad will flag off 14 vans of Digital India Outreach Campaign. The objective of this campaign is to create awareness about Digital India programme and its major initiatives through various Point of Presence (PoP) like DeGS, Digi Sewa kendras (CSCs), Panchayats, Schools, Colleges and Haats, and increase uptake of citizen-centric services. In phase I of the campaign starting Monday (May 30), 16 vans will cover 34 districts of nine States including Haryana, Rajasthan, Punjab, Gujarat, Maharashtra, Chhattisgarh, Karnataka, Kerala and Andhra Pradesh. The full campaign will run from Monday to March 31, 2017, covering 657 districts. A total of 66 vans equipped with audio visual facilities, Net connectivity and other information, education and communication material would inform and educate citizens in rural areas, specially youth about the various initiatives of Digital India in an interactive manner. These vans will cover more than 13 lakh km on 13,200 man days. Through this campaign, the government targets to reach more than 10 lakh citizens and more than 1.5 lakh rural citizens to be registered for MyGov, Digital Locker, Aadhaar and other Digital Services.